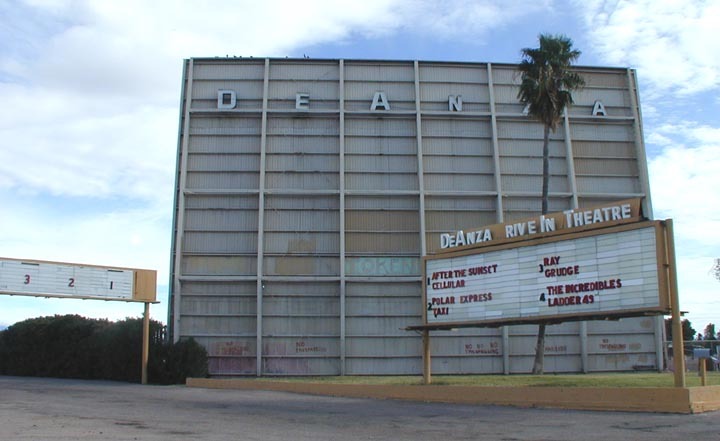 The DeAnza Drive-in opened in 1951 as the Cactus Drive-in. It was remodeled into a triple and renamed the DeAnza in 1976. In 1978, they added a fourth screens. In the late 1990s, it seemed certain that DeAnza would close and be demolished. However, a buyer was found at that time. Then, in 2008, it was announced that the drive-in would be replaced with a retail complex. It closed and was demolished in 2010. The screen was dismantled and there are plans to reuse it for a new Cactus Drive-in. For more, see this website.